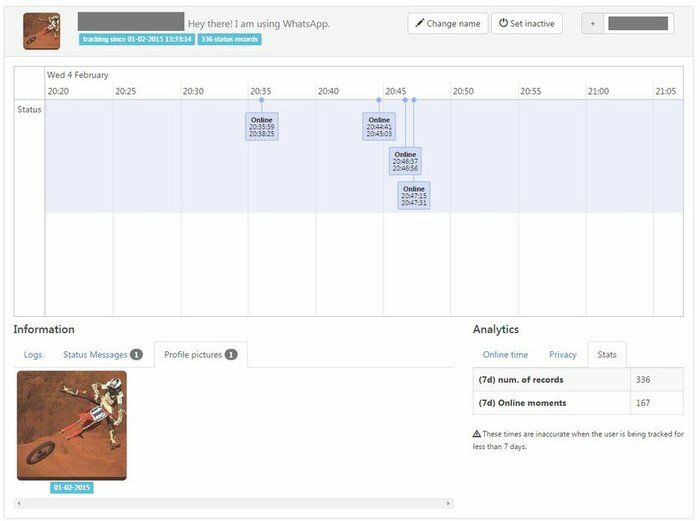 At the WhatsSpy download is there a Web-based application that can spy on all active activities of WhatsApp users. The developer Maikel Zweerink wants to draw attention to the weaknesses in the privacy of WhatsApp. Regardless of privacy settings data of all users can be tracked. Condition are merely a second WhatsApp Account and a little IT knowledge. The weaknesses in terms of data security and privacy in WhatsApp have been much criticized in the media. Particularly as regards the privacy setting regarding the online status, WhatsAppern are virtually tied hands. While one can determine in the privacy settings, who can retrieve the online status. Nevertheless, it is possible for every user to see if someone is online or not. WhatsApp has been no attempt to close this gap. Now the developer Maikel Zweerink shows that the gap is even greater in fact than expected. 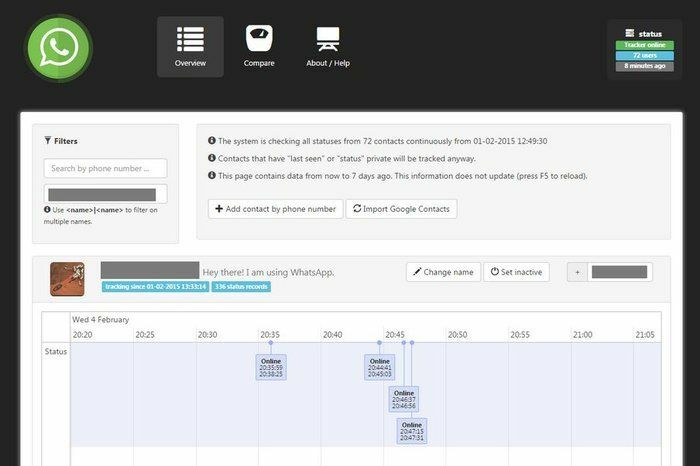 With free WhatsSpy public, the privacy of the Messengers can completely overturn. The web application allows anyone with a bit of PHP knowledge, the accounts of any user to monitor - and around the clock. The WhatsSpy Public Download and installation are only suitable for users with programming skills. In addition, there are several requirements: To use a second spy WhatsApp account is the one required. For if the tracker was once up and running, the user can not receive any more messages via WhatsApp. Therefore, it is recommended to choose either a phone number that is not registered in WhatsApp or simply to buy an additional SIM card. Furthermore, it is required that a gerootetes Android device or its decision that, in the case of iOS jailbreak was carried out. In addition, knowledge of PHP and server / Rpi is required. The tracking of this data not only shows events in real time. All this data can be collected and then analyzed later. Sun can be created and even compared by all users data profiles. For this WhatsApp spy there is no program in the wide range of security software that provides data security. The only resistance that users, is to stop using WhatsApp. Unless WhatsApp soon the vulnerability. In the WhatsSpy Download this is not a hack. The application performs the interception of data in WhatsApp because the Messenger allows. The spy is not average Joe User usable because some programming skills are necessary. However, the developer explains how to get the tracker to work. WhatsApp notification when someone goes online?